Qubeey, Inc., innovators of the browser-free communications platform transforming Internet access, previewed its 2.0 version and launched Chris Brown’s new channel at a private, VIP event featuring the Grammy-winning recording megastar Saturday in Beverly Hills. 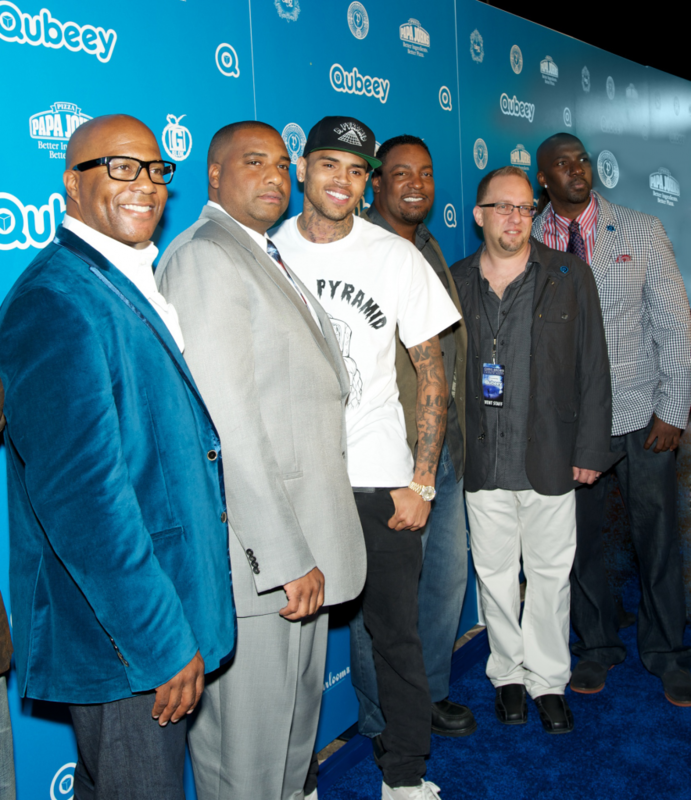 Chris Brown, third from left, celebrated with Qubeey executives, left to right, Marc Brogdon, VP, Marketing; Kenny Bereal, Executive VP; Rocky Wright, CEO; Jeffrey Pittle, VP, Creative; and Harold McCrimmon, VP, Business Affairs. Visit www.qubeey.com. *Van Nuys, CA. – Southern California-based Qubeey, Inc., innovators of the browser-free communications platform Qubeey, previewed its 2.0 version and launched Chris Brown’s new channel at a VIP launch party featuring the Grammy-winning recording megastar Saturday at a Beverly Hills mansion. 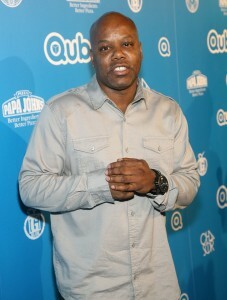 A Qubeey blue carpet, instead of the usual red, welcomed celebrities from the entertainment and sports communities including superstar Rihanna; actor Evan Ross; L.A. Lakers forward Devin Ebanks and NBA player Rasual Butler; actors Christina de Rosa, Brandon T. Jackson, and Wesley Jonathan; singer Stacy Francis and rappers Too Short, Xzibit and Hazel E.
Too $hort at the Qubeey VIP launch party featuring Chris Brown’s new Qubeey channel. Brown, aka Breezy, and over a hundred celebrities have Qubeey channels, customized micro-sites showcasing products, services, videos, photos and other content. Visit www.qubeey.com. Brown’s new Symphonic Love Foundation will have a channel soon. Qubeey 2.0 allows users to create integrated streams, clusters of content based upon their interests. The streams can be bridged to users’ networks so that their followers can access the streams and other information. Additionally, new action cards provide real time, interactive notifications of all activity within a user’s social and business networks without the user ever having to visit those sites on the web. 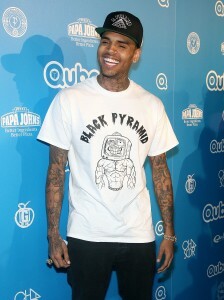 Chris Brown at the Qubeey VIP launch party featuring his new Qubeey channel. “Through our 2.0 update you can access anyone and any activity within your social or business sites without checking emails or accessing each individual site. You can receive interactive notifications of all activity through Qubeey,” said company CEO Rocky Wright. Qubeey’s assertive communications feature allows notifications to appear instantly on followers’ desktops, mobile tops and other devices, based upon follower request, even if they are off the web browser or working in another program. Qubeey is also available on laptops, tablets, and soon on television tops, gaming devices, and set top boxes. The 2.0 update includes additional features such as enhanced search options; live feeds from all user networks combined; and trending information based on individual user interests. 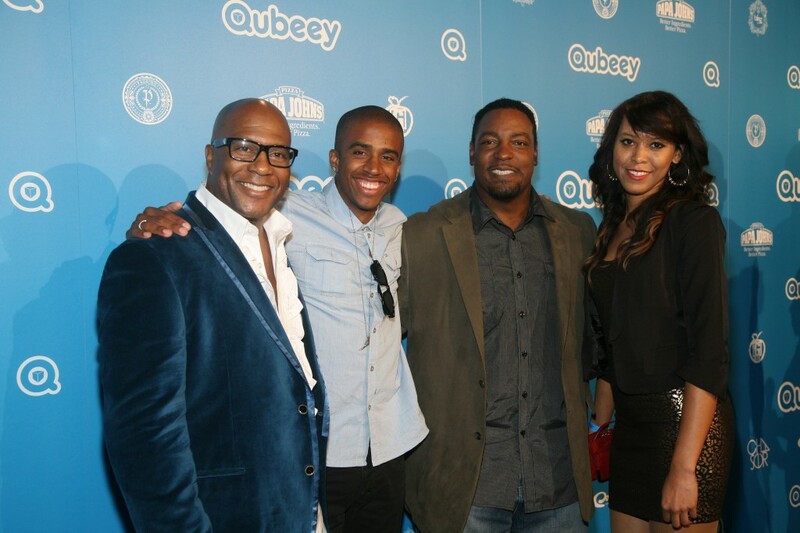 Qubeey Marketing VP Marc Brogdon; Chris Brown Qubeey promotion winner Freddie Gladney; Qubeey CEO Rocky Wright; promotion winner Desiree Reed, at the Qubeey VIP Launch Party featuring Brown’s new channel. “Qubeey has implications in financial, educational, medical and governmental communications as well as social,” said Marc Brogdon, Qubeey VP, Marketing. “We are pioneering the next wave of Internet communications.” The stellar and off the chain VIP Qubeey Launch party sponsors included Roadstarr, Papa Johns, G Block, Padrino Tequila, Bling H2O, Earloomz and Saha Concierge. Find out what the buzz is all about. Test-drive Qubeey at www.qubeey.com. For more information, visit www.qubeeypress.com.